PDF format is reliable and looks awesome on different devices, that makes it the ideal document format for many usages. PDFs are part of our daily life, but you often find yourself unable to work with PDF easily, unless you have a handy PDF tool. That doesn’t mean you have to purchase a pricey software, CleverPDF.com, a completely free online PDF application can help. 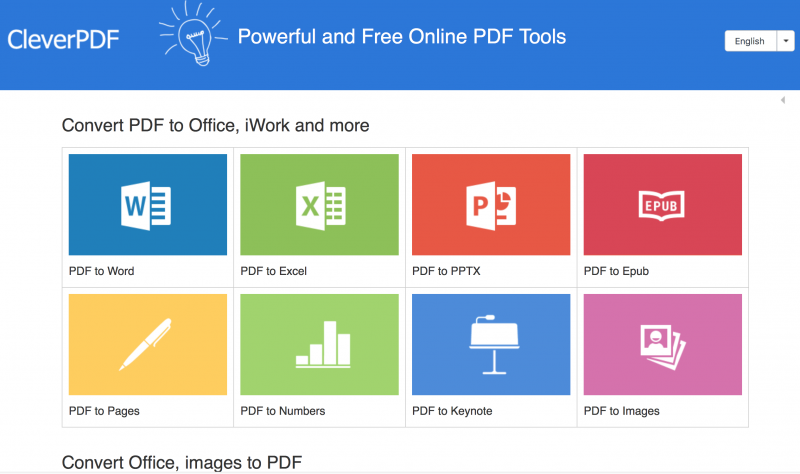 CleverPDF includes a range of tools that makes any PDFs so easy to work with, it offers 19 free PDF tools including PDF to Office, iWork or EPUB conversion, compressing PDF, combine PDF and more. All the PDF task can be done within 3 steps. Simply add the source file, select an output option according to your needs, then download the output file in seconds. Let’s try to compress a PDF with CleverPDF, this function is useful when want to send PDF attachment via email. The interface is quite neat, no annoying floating advertisements. Simple drag and drop the source PDF file into the file area. The original PDF file is about 3.9MB. CleverPDF offers 4 preset compressing option, it also lets you customize the image quality. So you can decide the compression level and image quality according to your needs. Let’s try the default compressing option. Click the ‘Start compression’ button, the file will be uploaded and processed from the cloud. Done, you can now download the compressed PDF file instantly. It will show the result on the right. You don’t even need an account to get the job done. You can compress as many PDF files as you want without limitation. 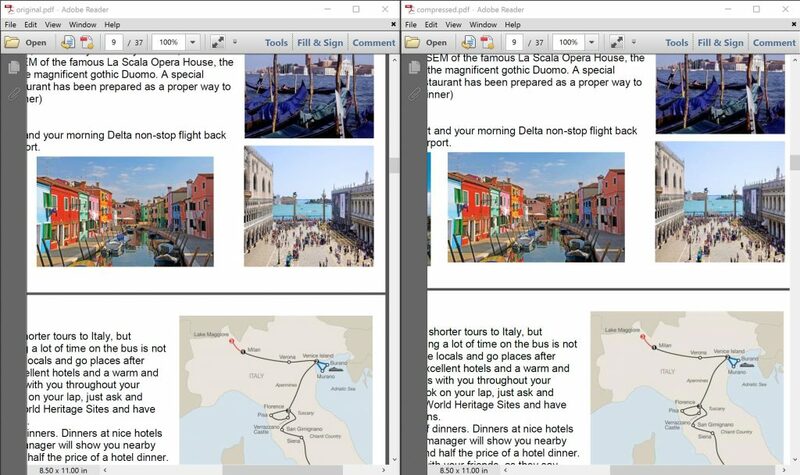 Let’s compare the original PDF and the compressed file, you can barely see the difference between them. But the size is only 1.87 MB, the file is reduced 52%. If you want to make the PDF even smaller, try the ‘Maximum’ option. If you worry about the privacy, now you can click ‘Detele file from server’ button, both the source and output files will be removed from the server instantly. If you don’t delete it manually, the file will be deleted automatically within 30 minutes. Simple, isn’t it? You can convert PDF to Office or iWork for easier editing, convert PDF to EPUB for better reading experiences on mobile devices, or combine multiple PDF files into one, remove the copying and printing restrictions, add watermark to a PDF, or create PDF file from Office document. It worths a try.